It was a small thing, really. Something he did out of instinct, without even taking time to think about it. It’s something he’s been doing – both literally and figuratively – for almost four decades. Lending a hand to the blues and its creators, helping to make sure neither is ever forgotten. This was before all that, before the movie, before the larger-than-life persona and way before the chain of restaurants and weekly radio show. This was on a stormy and rainy spring night in Chicago, outside the front door of the Wise Fool’s Pub. Aykroyd has been a major part of the worldwide public conscious since 1975, when he burst upon the scene as one of the original cast members of Saturday Night Live (SNL). He’s been a non-stop whirlwind of activity ever since, writing screen plays, appearing on a weekly syndicated radio program and starring in countless movies and television projects. All of that more than qualifies the man as a Hall of Famer, but ask any music lover and they’ll probably rattle off one name that sums up what Dan Aykroyd is all about. Part of a sketch with the late, great John Belushi on an April 22, 1978 episode of SNL, the Blues Brothers quickly spawned a meteoric existence all their own, one that could not be contained by a mere television screen. That initial pairing of Belushi as Joliet Jake and Aykroyd as Elwood, set the wheels in motion for a chart-topping, double-platinum album (Briefcase Full of Blues), concert tours, an all-time movie classic (The Blues Brothers) and their likenesses plastered all over the free world as sunglass-wearing, fedora-sporting Chicago bluesmen. And it’s been all blues, all the time, ever since for Aykroyd. 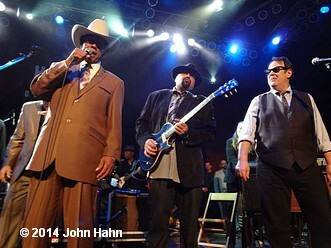 As co-founder of the House of Blues concert venue/restaurants and thanks to his weekly-syndicated radio program – Elwood’s Bluesmobile – Aykroyd has really put his money where his mouth is the past few decades, rolling up his sleeves and diving in with both feet to make sure the blues doesn’t turn into some long-forgotten form of music. 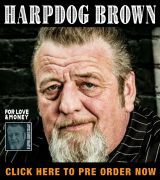 His program has become a much-needed oasis for roots-music lovers that are normally left high-and-dry and insanely frustrated when spinning the dial in hopes of catching even one or two blues tunes spewing forth from earth-bound radio. 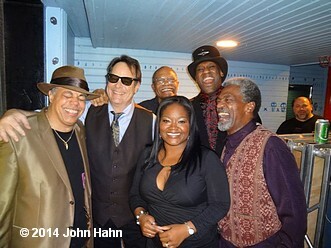 Aykroyd’s sense of duty to the blues community is not simply limited to artists from the 1950s and 60s. He astutely understands that while keeping past traditions alive is an integral part of the mission, creating new traditions is also a vital part of the whole process. His love for blues music was not something that was manufactured on a Hollywood sound stage. It is something that has been a part of Aykroyd since he was an impressionable youngster growing up in his native Canada. More than just a casual observer, sometimes back in those days, Aykroyd was a participant in what went down on the bandstand. Like one evening when S.P. Leary didn’t quite return to the stage on time after Muddy Waters and the rest of his band came back from a break. “Muddy said, ‘Anybody out there play drums? I don’t have a drummer.’ And so I walked on stage, sat down and started playing. Muddy said, ‘Keep that beat going! You make Muddy feel good.’ So I played until S.P. 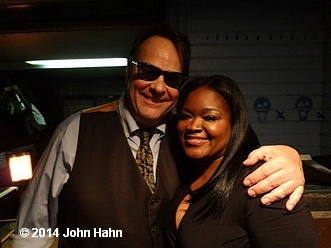 decided that his break was over,” Aykroyd said. While he was definitely interested in playing music when he could, the actual idea of a career as a musician as opposed to being an actor and comedian never really intrigued Aykroyd for very long. But the ability to play some tunes did come in handy, starting with when he was a member of Chicago’s iconic improvisational comedy troupe, Second City. In the summer of 1979, it was next to impossible to flip on the radio for more than a few minutes before the Blues Brothers’ version of the Sam & Dave classic, “Soul Man” came bursting out of the speakers. The tune quickly found its way into the Top 20. Briefcase Full of Blues turned out to be a smash hit, selling over three-and-a-half million copies. It also led to a memorable concert tour, with one unforgettable stop happening along the way. Picture the scene – New Year’s Eve 1978 at the Winterland Ballroom in San Francisco. It’s closing night at the fabled venue and the Blues Brothers Show Band and Revue is on stage in front of a jam-packed house, kicking off the night’s festivities with New Riders of the Purple Sage and The Grateful Dead set to follow. Elwood Blues grabs his harp, places it next to his mouth and .. Sounds like a typical late-70s New Year’s Eve in San Francisco. Grateful Dead-spiked misadventures aside, Aykroyd and Belushi knew that the Blues Brothers were just what the record-buying public needed as it was practically starving for anything with some real substance to it. 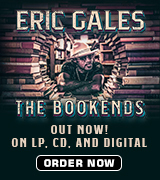 “Based on the way the record sold, we knew we were doing something that people liked. And from that grew the idea for the movie. We knew from the receipt of our record and the tour that this was something that was cleaning out America’s ears, cleaning the ears of disco and getting it ready for something fresh,” Aykroyd. A highpoint of that ‘getting it ready for something fresh’ has to be the 1980 big screen extravaganza, The Blues Brothers. Part comedy, part action flick, part ‘how the heck did they survive a bazooka blast?’ and part musical, The Blues Brothers remains an unconventional work of art, one that will never be duplicated. The flick is chock full of great tunes and great performances, but something that should not be overlooked is the movie’s casting. James Brown, Ray Charles, Cab Calloway and Aretha Franklin all played roles in The Blues Brothers and all of their careers received a nice upward spike because of the movie. So was that part of the grand scheme? Though Belushi long ago went to that great bandstand in the sky, the Blues Brothers still live on and can be caught from time-to-time laying down the real, deal rhythm and blues. Clearly there is a separation between the character of Elwood Blues and its creator, Dan Aykroyd. However, occasionally that separation blurs and the two do share a bit of equal space. He still devotes a percentage of his time to the big screen and filming recently wrapped in Mississippi on the James Brown bio-pic Get On Up, and the movie, set for an early August release, features Aykroyd as Ben Bart, president of talent agency Universal Attractions. 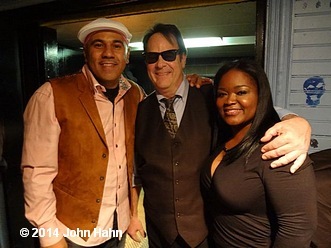 Aykroyd helped cast JB in a couple of his movie projects – The Blues Brothers and Doctor Detroit – but his connection to The Hardest Working Man in Show Business easily pre-dates the 1980s. That made Aykroyd’s decision to be involved with Get On Up a virtual no-brainer. Another performer who really loves his audiences and still gives it his all every time his boots touch the stage is Hall of Famer Lonnie Brooks. 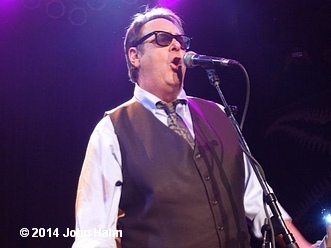 Late last year, Aykroyd returned to the Windy City to help celebrate the legend’s 80th birthday with an all-star shindig at the House of Blues. In addition to all the other balls that he juggles on a daily basis, Aykroyd is also involved in Crystal Head Vodka, an additive-free vodka that has its origins in the legend of the 13 crystal skulls. Its human skull-shaped decanter helps it stand out from the rest of the pack on beverage store shelves, but its composition is really what Crystal Head is all about. If by chance a spaceship from another planet (Remulak) made its way to Earth and the occupants of said ship (Beldar, Prymaat and Connie) were ready to consume mass quantities of blues music, but did not know where to start, which CD would Dan Aykroyd hand to the Coneheads as a shining example of the genre? Previous PostPrevious Final Days of the Catalog-Wide Sale in the VizzTone Room on iTunes!